It’s really no secret that I have a soft spot for Bay Area Hip Hop. So much of the best in quality beats and rhymes of the last 20 years has made its way onto my playlists and mixtapes via The Bay. It’s a sort of “No, I’m not gonna conform my Hip Hop to what you think it should be, I’m going to make what I want” attitude that has made it so special. Earlier this year I caught up with legendary Bored Stiff member and Bay Area resident,Equipto. Today we get a chance to catch up with another member of this renowned Hip Hop collective. 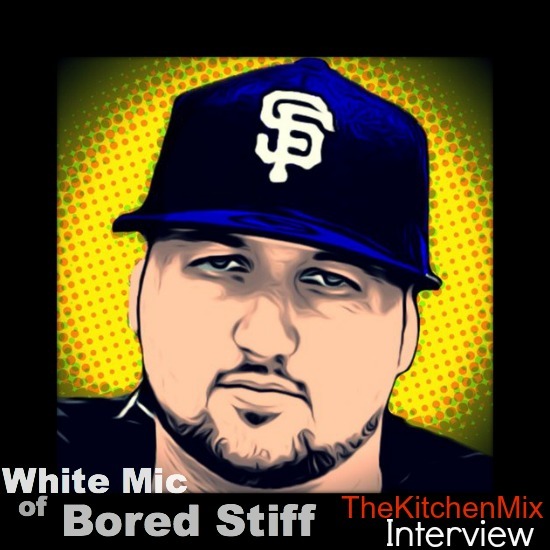 White Mic shared some thoughts on food and music, and I figured I’d share them with you. Hopefully you’re all caught up on his releases of the past few years. If not, don’t worry, I’m handing out late passes today. The Vegetable and the Ferret was the first in a pair of concept albums that he’s helped put out over the past few years. The other being The Vegetable and the Alien. Get’em. WM: Haha! Probably cuz I have contact from Equipto and Lroneous and whoever’s in the lab blowing and I get munchies! We’re always snacking in the lab! TKM: Ha. Yeah, that’ll do it. How well do you get around in the kitchen? How would you rate your skills? WM: I’d say I’m a 7 out of 10 in the kitchen only because I don’t eat seafood and I don’t really bake. But everything else I’m pretty great at! TKM: What kind of foods are you trying to gravitate towards and what are you trying to stay away from? WM: Well, me and my family are learning more about GMO’s, Monsanto, and companies that are using harmful ingredients or altering foods and over-using pesticides. We’re making a push towards organic foods, shopping in better stores and trying to support the farmer’s market! I want my kids to learn and adapt as we go – we’ve pretty much eliminated fast foods. We’re working on snacks now! TKM: Yo, I can feel that. So, Equipto says that out of all the Bored Stiff members, you’ve gotta be the best cook. Do you agree? What have you prepared in the past that leads him to believe that? WM: Well, I’m the most home bodied person in the group and I have children – my life’s based around them. So, I’ve had more practice than them. TKM: What are your specialties? Can you share a recipe with us that we can prepare and share with our readers? WM: I don’t have anything written down and I’m mostly an off the top of the head cook so I’d have to brainstorm that recipe – might take a while. Haha. But I make a mean Filet Mignon with asparagus, black beans and a garbonzo bean salad. TKM: Off the top cooks are usually the best. How have your tastes changed over the years? WM: Well, I’ve always been a sucker for fried foods – I love potatoes so I usually gain most of my weight from there. Still working on not eating them as much! TKM: Yeah, that’s one of my guilty pleasures as well. Talk about some of the best cities for food. WM: I just got back from Dallas and had the most incredible steak I’ve ever had at a restaurant called Al Biernats – it was amazing! Also, New Orleans – I’m a sucka for a Po Boy. TKM: If you could have anyone make you a meal who would it be? If you could make a meal for anyone who would that be? WM: Guy Fieri and Serena Williams. WM: True because if you’re eating right you can be so much more productive! TKM: Let’s spend some time and focus on music for a bit. What in your musical career are you the most proud of? WM: I’m proud of what Bored Stiff stood for – we were different when we were kids and we embraced it – when a lot of other people went along and followed others. TKM: What was your initial inspiration when you were first getting started? WM: I’d have to say my friends – my friends meant everything to me. I did music with my friends because it kept us close together and we were able to have fun with it. TKM: What inspires you today? WM: I’m inspired by Hip Hop – it’s been there for me so many times. It’s motivated me and taught me so much for the last 25 yrs – that I feel the need to give back to it, show it the respect it deserves and I feel the need to show the younger people what it really is about since it’s been exploited so much. TKM: What projects do you have on the horizon? WM: I have a new album coming out called AS IS – but Solidarity Records has so many dope projects out. Agendtrik9’s album, LRoneous has a EP out and Z-man, too. Make sure y’all check it all out! 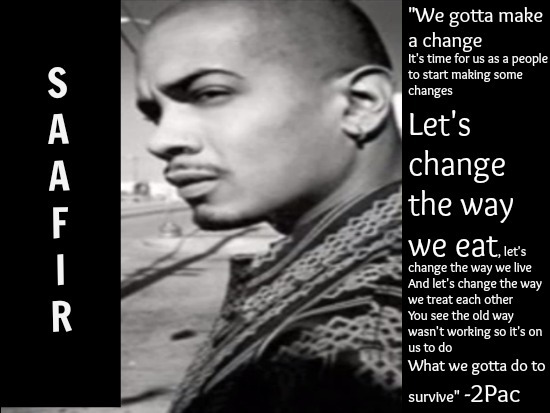 TKM: What are your hopes for the future or Hip Hop? WM: I just hope the kids start to see that it’s all about being creative, having fun, stepping outside the box – these kids think having their biz solid makes them dope. I think what you create makes you dope and having fun doing it makes you dope – the biz rarely can give you that!